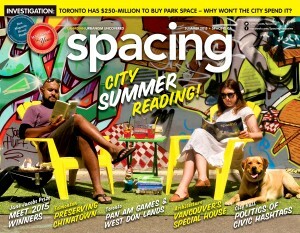 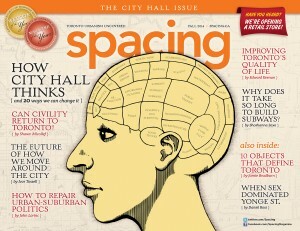 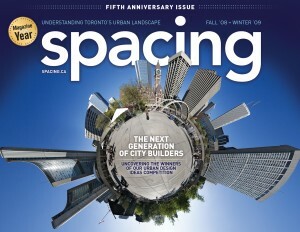 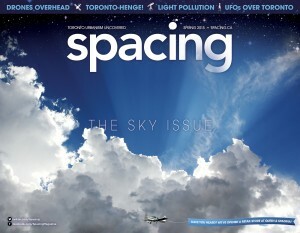 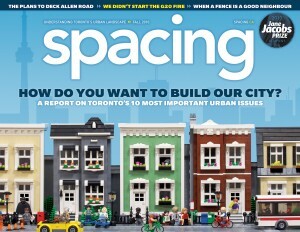 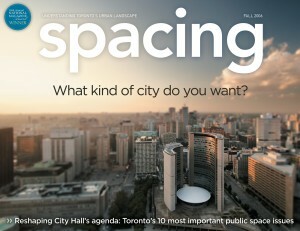 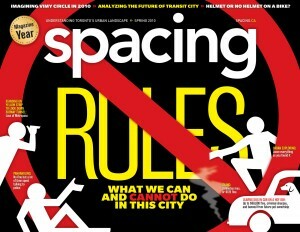 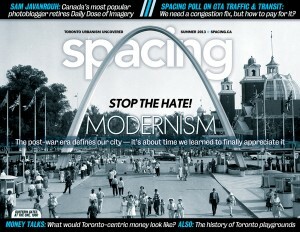 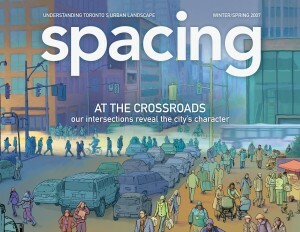 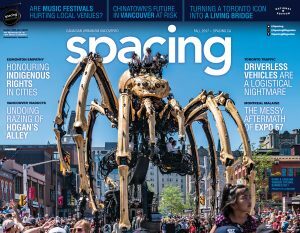 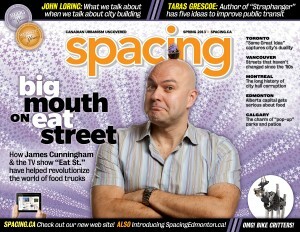 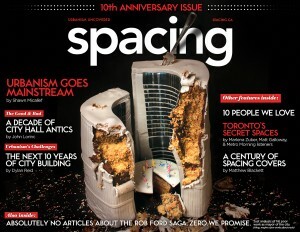 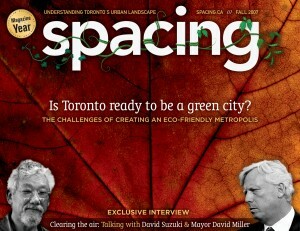 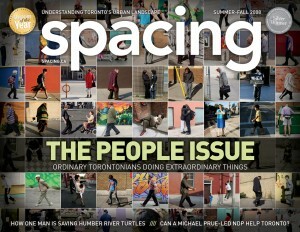 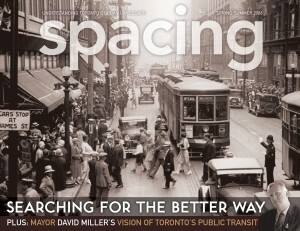 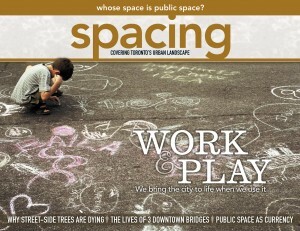 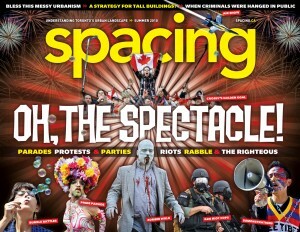 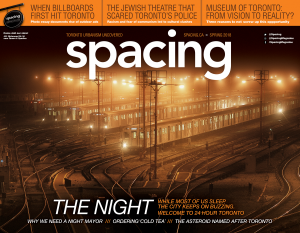 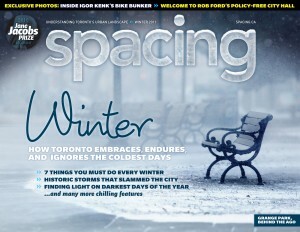 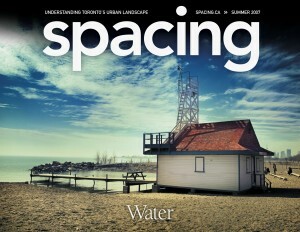 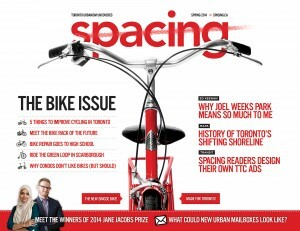 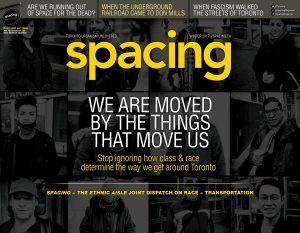 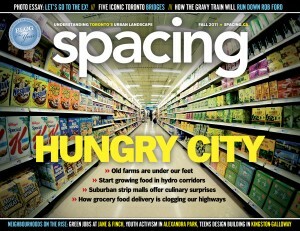 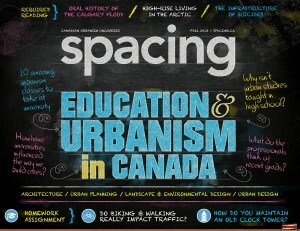 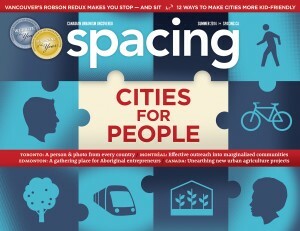 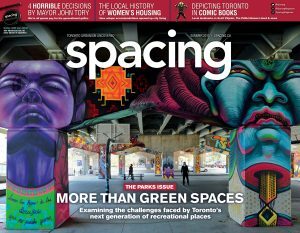 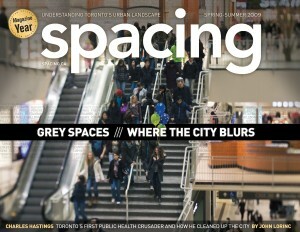 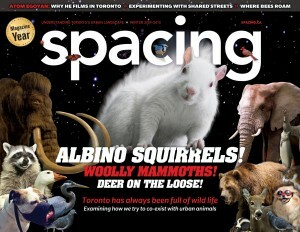 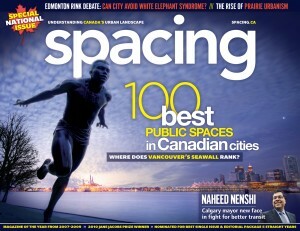 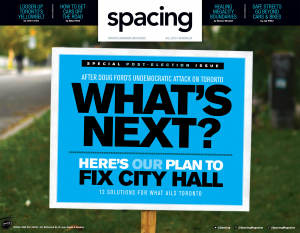 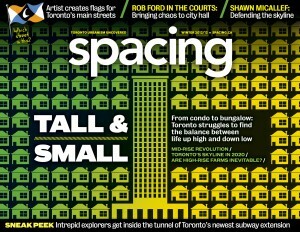 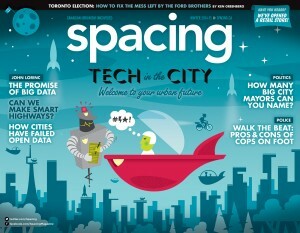 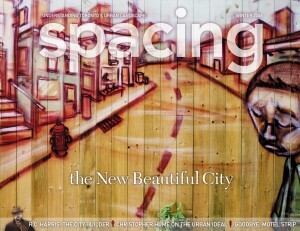 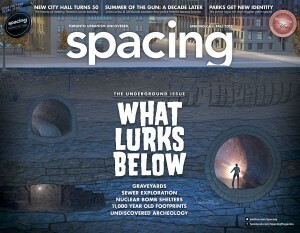 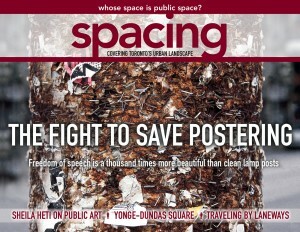 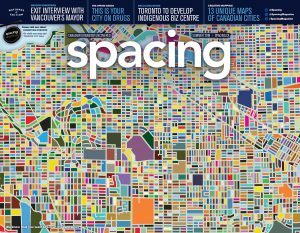 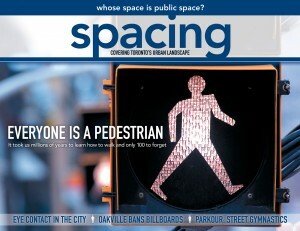 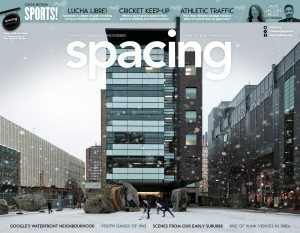 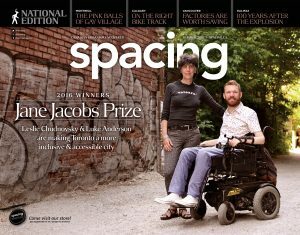 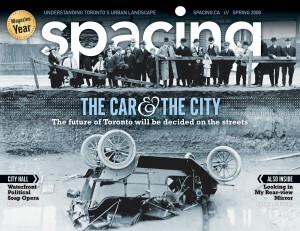 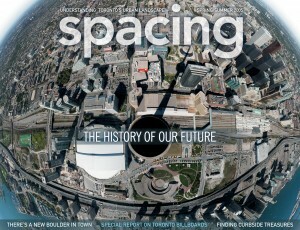 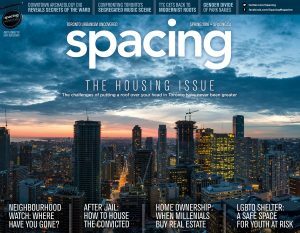 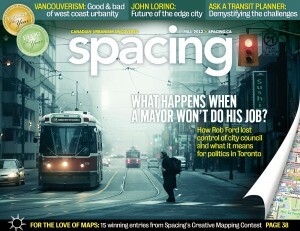 The second national edition of Spacing features a variety of articles affecting Canadian cities across the country. 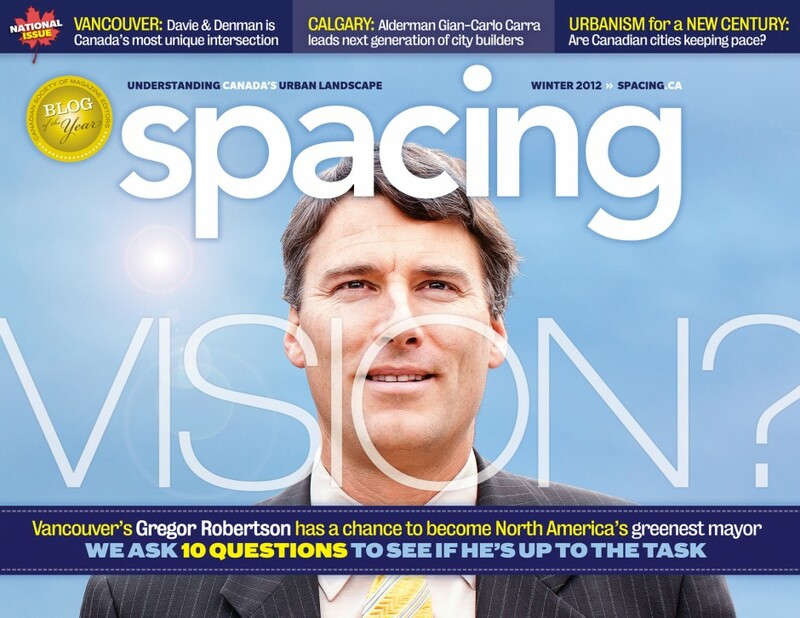 We sit down with newly re-lected mayor Gregor Robertson to find out if he’s up to the task of making Vancouver the greenest city in North America. 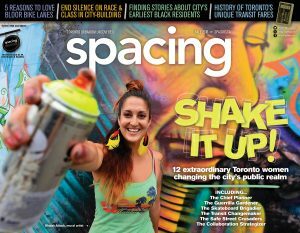 Contributor Christopher deWolf examines the history of stencil graffiti artist Roadsworth and the impact he has had on the Canadian street art community. 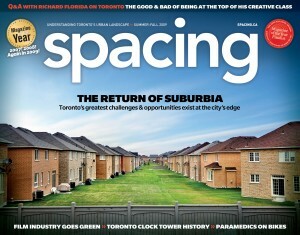 Senior editor Dylan Reid outlines the challenges facing cities in the 21st century. 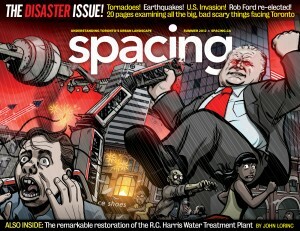 And senior editor John Lorinc digs deep into the policy reports to show the looming housing crisis Canadian cities face.